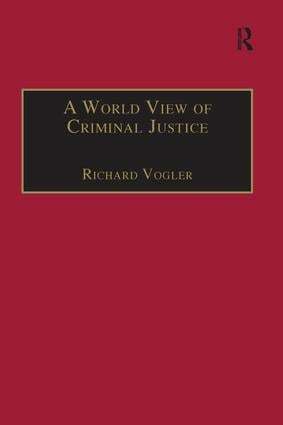 Contents: Preface; Understanding criminal process: a three-dimensional world view. Part I The Inquisitorial Tradition: The European inquisitorial tradition; The French revolution in criminal justice; Regimes of terror: inquisition-process in the 20th Century; Maoism and the Chinese inquisitorial tradition; Islamic criminal justice: theocratic inquisitoriality. Part II The Adversarial Tradition: The Anglo-American adversarial tradition; The great due process revolution: adversariality in Europe and Latin America; Adversariality and the collapse of 'Socialist Legality'. Part III The Popular Justice Tradition: Origins of the English jury; Juries originating in the British overseas empire; The European Jury; Direct popular participation: village courts and popular tribunals; Criminal justice reform; Bibliography; Index.